Psychologists looking for alternative cures for anxiety disorders were the first to become interested in the euphoria-inducing substance called MDMA, but party-goers predictably caught on and administered the “treatment” themselves. In 1985, before the psychotherapy and psychiatry fields had a chance to prove what, if any, medical benefit the drug better known as ecstasy might have, the feds classified the party drug as a Schedule I controlled substance. 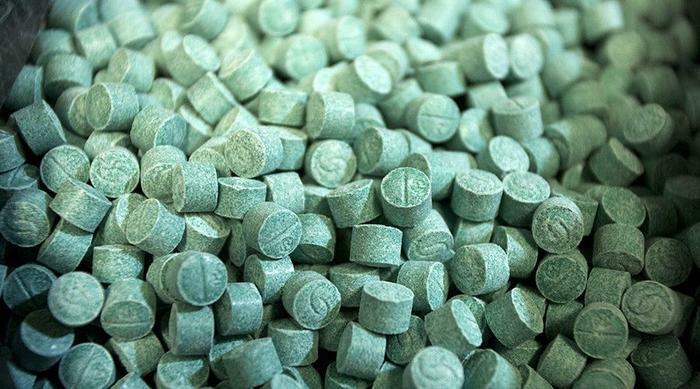 “All of the evidence DEA has received shows that MDMA abuse has become a nationwide problem and that it poses a serious health threat,” the agency said at the time. The DEA probably didn’t care that they were crushing the dreams of a student named Rick Doblin, who had aspired to become the world’s first psychedelic therapist. Undeterred, Doblin made legalizing MDMA and other substances his life’s work. He launched a non-profit called the Multidisciplinary Association for Psychedelic Studies (MAPS) and pursued a PhD in public policy at Harvard, part of a decades-long crusade to persuade the public that psychedelics have a place in the doctor's office. “The first few years, it was largely just Rick on his computer, trying to get support,” Brad Burge, a spokesman for MAPS, tells ConsumerAffairs. In 1990, the earliest year that financials were available, the non-profit only had about $6,000, Burge says. Meanwhile, another young Harvard graduate with a passion for psychedelic drugs grappled with whether he should take over the family soap business. David Bronner initially made plans to move to Amsterdam and forge his own path, but sudden changes in the family had him reconsidering. Despite its wacky label and creator, the brand had become a household name in the decades that followed. David’s family still retained control of the business when the elder Bronner died in 1997, the same day that David and his girlfriend were celebrating the birth of their daughter. A year later, David's father, Jim, an entrepreneur credited with inventing fake snow, was diagnosed with cancer. The family should run the brand the way it was founded, as “an activist engine doing great work in the world,” David vowed. Burning Man brought the young soap CEO and the derailed psychedelic therapist together in the early 2000s. By that time, Doblin had become well-known in certain circles for his advocacy work, which included free counseling at events where people were likely to be dosing. Bronner’s friend was having a bad reaction to magic mushrooms, so he brought her to the tent where volunteers offered aid. Watching Doblin successfully coach his friend through her trip, Bronner, who had previously worked as a counselor, was impressed. The men began talking and quickly hit it off. “Someday I’m going to help you in a big way,” Bronner remembers promising. The seventy-year-old brand now called Dr. Bronner’s Magic Soaps has since grown into a $125 million company. Shoppers at big box stores like Target have come to embrace a brand that advertised natural ingredients and corporate responsibility before it became trendy to do so, even if natural soap is an adjustment for some people. (“The SMELL is great but is ‘earthy,” a Target shopper named Heather warns others online). That the Bronner family throws the bulk of their profits into charitable and activist causes, as well as generous employee benefits and starting wages, is not made immediately apparent on the bottle, which still carries the original “All One!” label authored by the first Dr. Bronner. But David, whose CEO title technically stands for “Cosmic Engagement Officer,” is outspoken elsewhere about the company’s vision of corporate responsibility. (He is perhaps most famous for getting arrested in several protests over hemp and winning a lawsuit he filed against the DEA when they tried to block hemp imports). If retailers are aware that the company is helping bankroll left-wing causes such as supporting research into hallucinogens, they don't seem to care. A label that David tried to put on the soap calling for raising the minimum wage proved far more controversial with major retailers, who insisted that the regular label be put back, he says. Thomas Kingsley Brown, a researcher and program coordinator at the University of California, San Diego, heard about a hallucinogenic substance called ibogaine from a friend who worked as an intake counselor across the border. Unregulated clinics that promise to cure drug and alcohol addictions with a heavy dose of ibogaine have popped up around Mexico in recent years. Getting funding from a pharmaceutical company to study such a substance would be impossible. Instead, Brown went abroad and followed ibogaine patients with a grant from MAPS. “MAPS is definitely leading the way,” Brown tells ConsumerAffairs. Ibogaine is just one of several alternative treatments that researchers are investigating in the absence of traditional treatments to epidemics now afflicting Americans, such as opioid addiction or PTSD. While researchers caution that ibogaine is not safe for all addicts to try, “if it [ibogaine] were allowed to be used here in the U.S., then it could be done openly, and it would be a much safer thing to do,” Brown says. Forty years behind schedule, psychedelic research is suddenly getting taken seriously again. Former officials with both the National Institutes of Health (NIH) and the American Psychiatric Association (APA) have gone on to speak at MAPS conferences in recent years, and stories of suburban parents who tried microdosing to cure their depression have been splashing the pages of mainstream newspapers. "It's been impossible for a long time,” to study illegal drugs, but “fortunately that’s changing,” MAPS spokesman Burge says. MAPS is not the only non-profit funding such research, but it has made significant progress in the field, harnessing donations from offbeat sources of wealth like Dr. Bronners or Ashawna Hailey, the late entrepreneur credited with helping design software that is used in computer chip manufacturing. In 2013, MAPS started accepting payment in Bitcoin and other cryptocurrency. “If you want to donate a house or a stock, we'll take that too,” MAPS spokesman Burge says. Despite their newfound popularity, hallucinogens remain a long way off from legalization. But there is one major exception. The legalization of MDMA is no longer such a distant possibility, thanks to years of promising research and several recent regulatory wins. Several years ago, MAPS was given the go-ahead by the FDA to begin Phase 3 Clinical Trials using MDMA as a treatment for Post Traumatic Stress Disorder (PTSD), following six previous trials that MAPS had funded. That marked a major milestone. Then, last fall, the FDA agreed to give “breakthrough therapy” designation to the MDMA research, “which is basically like getting extra credit on your FDA assignment,” Burge says. That means that if the Phase 3 trials prove promising, MDMA could potentially be legal as a prescription drug by as early as 2021. But government approval to conduct the research is only the first hurdle. Researchers still need the type of funding typically only available to drug companies -- or $26.7 million, to be exact. David Bronner pledged last year to donate $5 million over the course of five years to help. The soap CEO now serves on the MAPS board, and the donation was the largest that his company had ever given to a single NGO. People on Reddit tipped MAPS off to another potential donor. A mysterious Bitcoin multi-millionaire who called himself “The Pineapple Fund” promised to donate his riches to charity. MAPS submitted a one-page application. Shortly after, a gift of 59 bitcoins appeared in their account. The donation was worth $1 million. Fans were then eager to match the donation. Another Bitcoin donor followed with 57 coins, Burge says. Lunar currency came next. From the right, the conservative Mercer Family Foundation donated another $1 million. In total, thanks to the diverse cast of donors, over $26 million has been raised for the MDMA research. Mainstream scientists are watching closely to see if a treatment for PTSD patients, who therapists widely agree have been failed by modern medicine, has been hiding in plain sight the entire time.